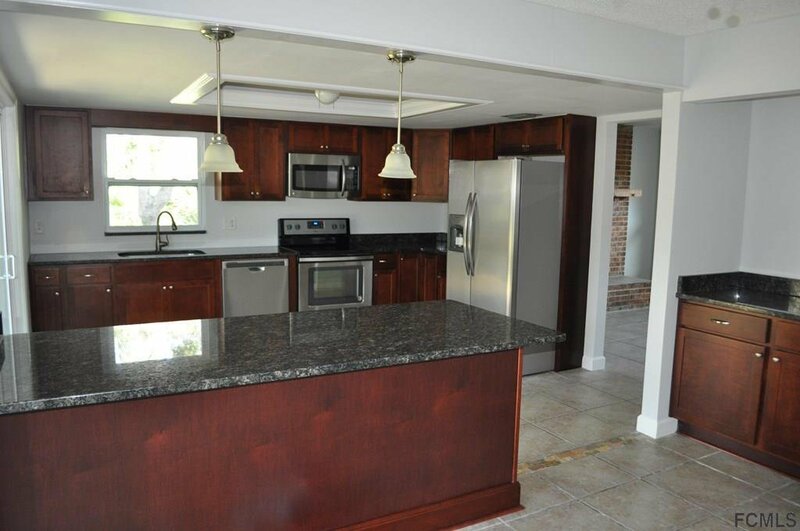 Updated, renovated 2 bedroom 2 bath, 2 car garage, block home. Tile through out the home. 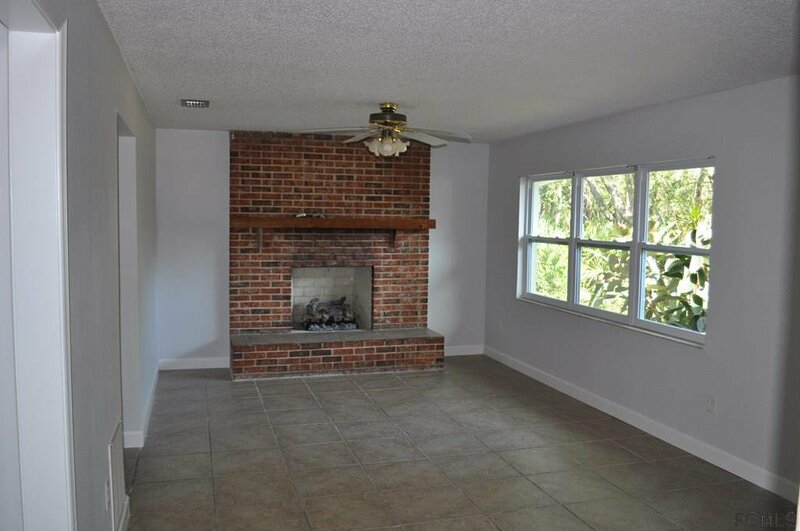 Brick fireplace(gas)is a feature in the living room to add that cozy feeling. Kitchen with newer stainless appliances, beautiful solid surface counter tops that compliment the cabinets, Island area too. 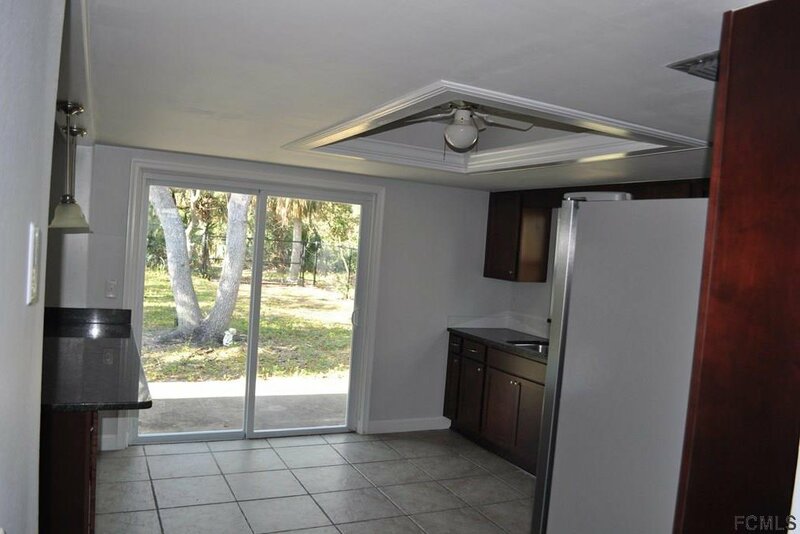 Two sliding glass doors for easy access to the large concrete patio, beautiful live Oaks and completely fenced backyard ready for you to enjoyed. Windows have been updated too! 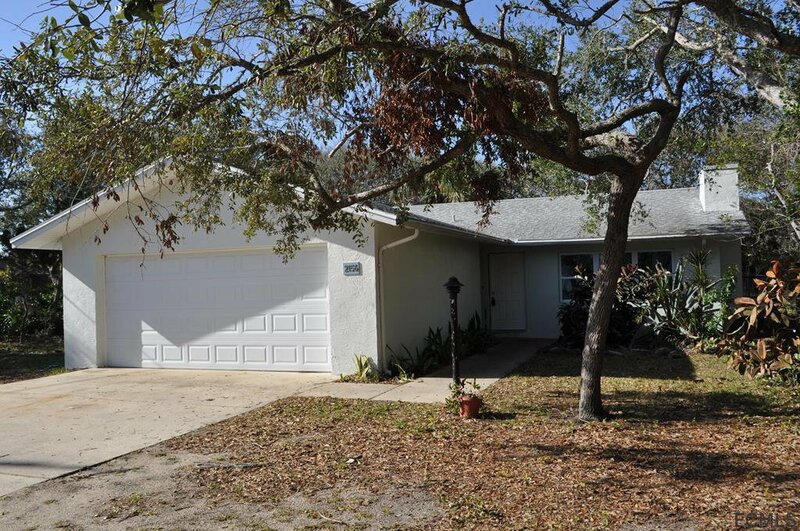 Close to the Atlantic ocean, shopping, restaurants and Parks. Call for your appointment to view this home. Listing courtesy of Clarion Group, Inc..